Tune into SiriusXM's Jam On this week to hear the premiere of a recording from the vault - the Allman Brothers Band's Fillmore West show from 1971, to be released later this year as an archive album. The SiriusXM Jam On show will be hosted by Warren Haynes and his wife, Stef Scamardo. 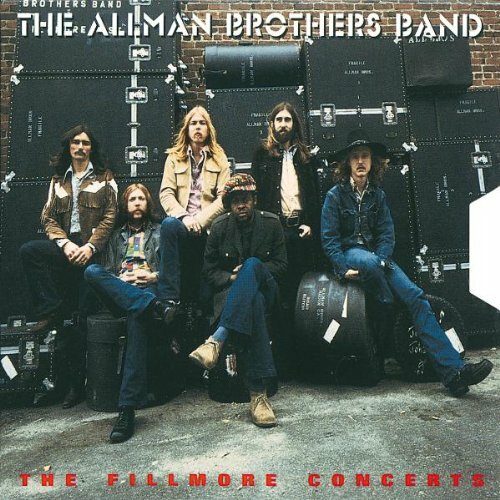 The Fillmore West recordings were made in January 1971, and featured the original ABB lineup of Gregg and Duane Allman, Dickey Betts, Berry Oakley, Butch Trucks and Jaimoe. Roots Rock Revival is back for 2019! Join Oteil Burbridge, Luther & Cody Dickinson, Jaimoe, Marco Benevento, Scott Metzger, John Medeski, Devon Allman, Duane Betts & Berry Oakley Jr. (The Allman Betts Band), Ashish "Hash" Vyas & Jeff Franca "Congo" (Thievery Corporation), Grahame Lesh & Elliott Peck (Midnight North), Johnny Vidacovich, Vaylor Trucks, Brandon "Taz" Niederauer and Jr. Mack for an amazing experience at the Full Moon Resort in the beautiful Catskill Mountains. Workshops, rehearsals, performances, jams under the stars - it's a life-changing experience! Visit this page to be entered to win 2 VIP tickets to Wanee Block Party in Fort Lauderdale on March 22 & 23, plus a signed drum head from Jaimoe! Winner will be randomly selected and contacted via email on Weds, March 20 at 3PM. In the past decade, tens of thousands of “pilgrims” have crossed the threshold of The Big House to view an amazing collection of rare and iconic memorabilia and artifacts that span the 50-year history of the Allman Brothers Band. NOW FOR THE FIRST TIME, a beautiful coffee table book showcasing the highlights of this massive collection is being assembled in honor of those 50 years of Rock & Roll history that the ABB created during their legendary career. The cream of the crop of the guitars and other instruments, clothing, contracts, posters, photos and all manner of artifacts will be presented in a professionally-produced, hard-cover coffee table book, totaling over 200 pages, filled with over 500 photos of the unique memorabilia collection, much of which has never been displayed until now. Make a Difference - Register to Vote!